Triumvirate Theatre's Class Act Troupe will perform an original revue based on the work of George M. Cohan, the first of two special one act plays, Friday and Saturday night. In theatre, sometimes it’s necessary to improvise. That was the case when it came time to write a one-act play about George M. Cohan, himself a famous playwright from the early 20th century, whose work is still being performed today. His credits include Give My Regards to Broadway and You’re a Grand Old Flag among many others. Triumvirate Theatre’s Class Act Troupe will be performing a review based on Cohan’s work this weekend. “I wrote this particular one relatively quickly," says director Joe Rizzo. This twin bill of one act plays is about more than just singing and dancing, though. 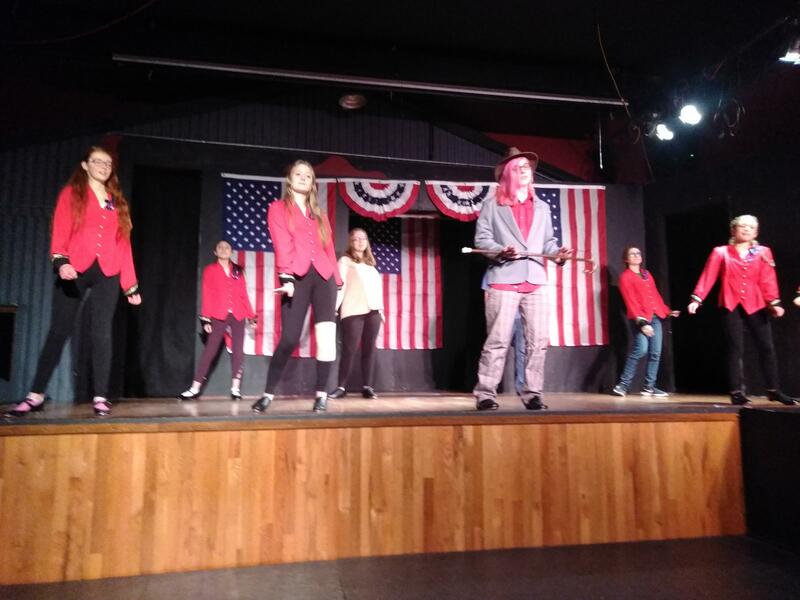 The first show, Give My Regards to Broadway stars the Class Act Troupe, while the second show, a comedy titled Oh, What a Tangled Web, features players from Nikiski High School’s Drama Debate and Forensics team. “They are raising money to go to California to do the play they’re doing for our local community in California," Rizzo says. Triumvirate’s double feature plays this weekend at its playhouse in North Kenai. Friday and Saturday shows both start at 7 p.m. and you can find ticket information at ticketleap.com.